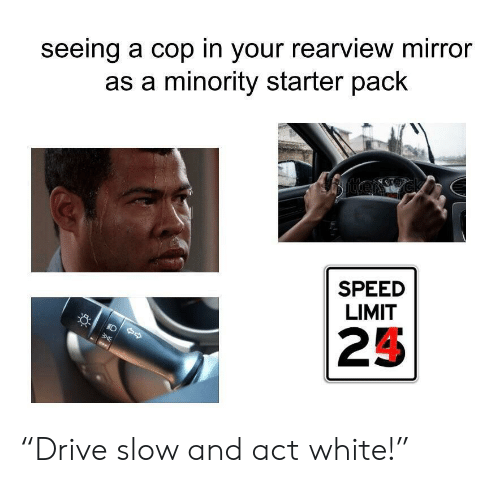 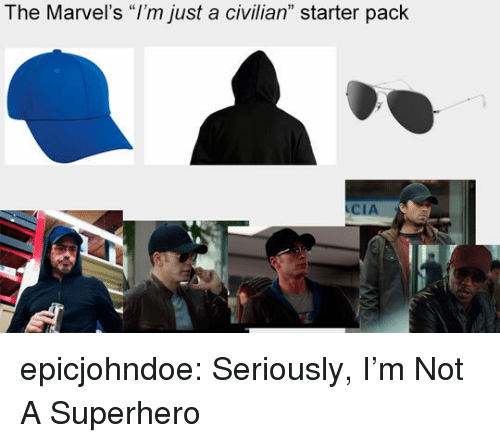 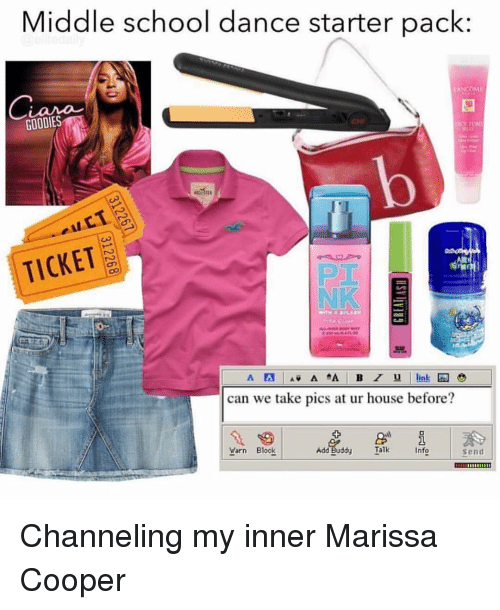 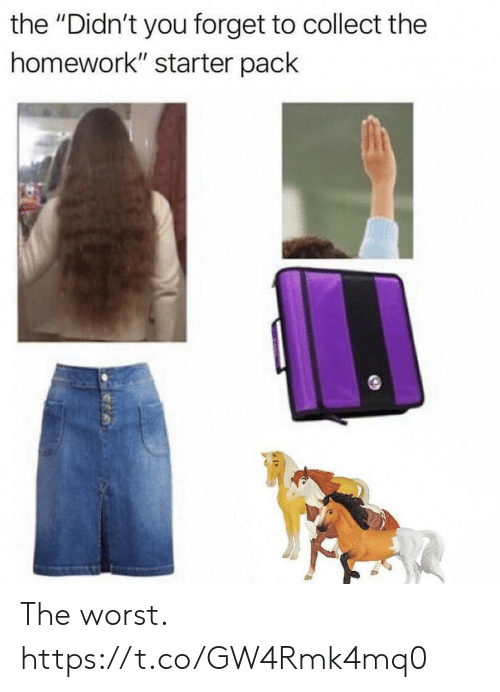 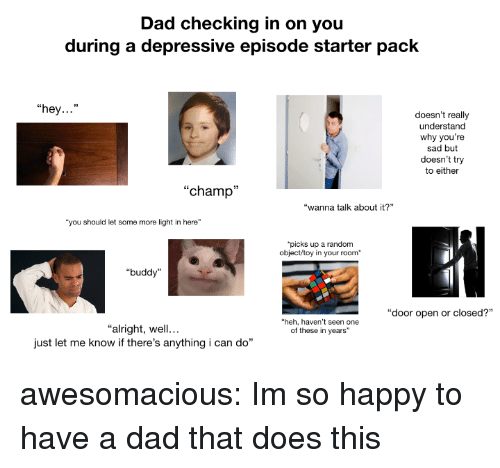 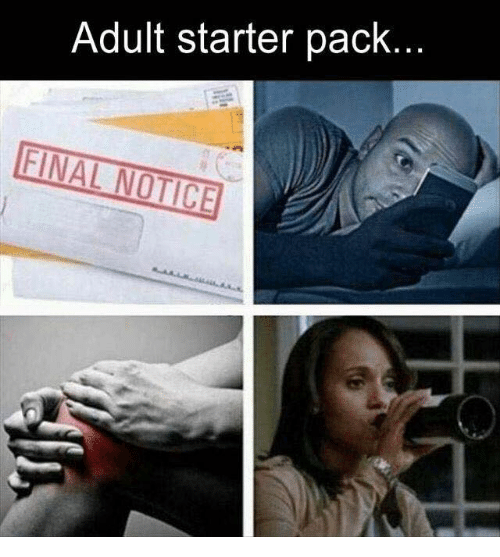 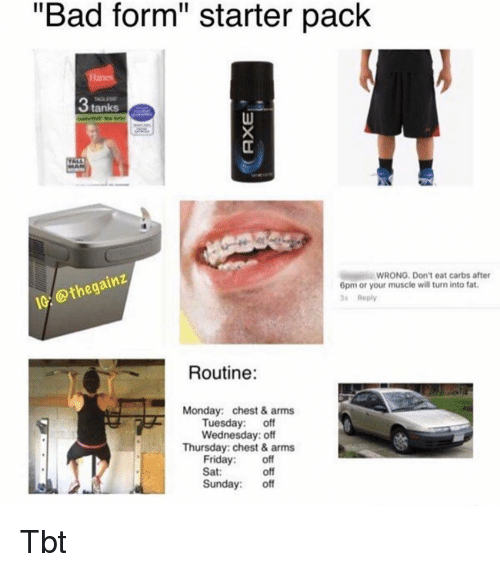 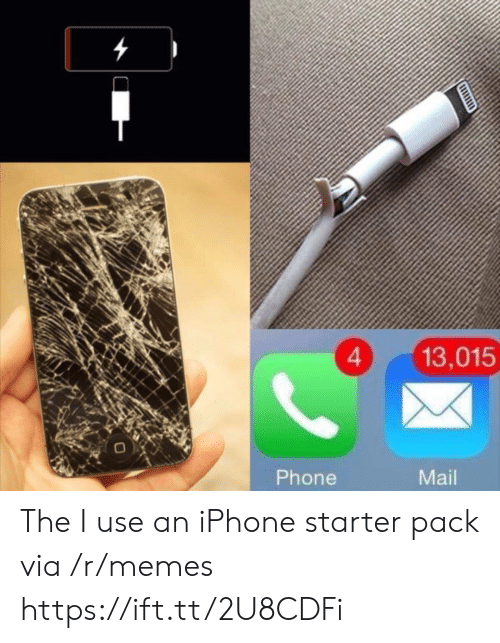 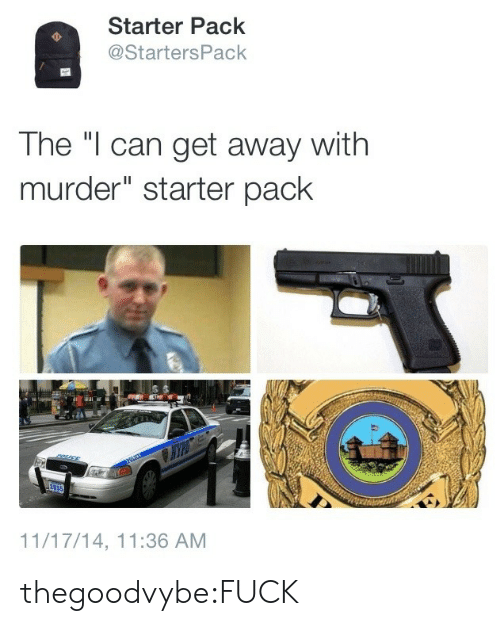 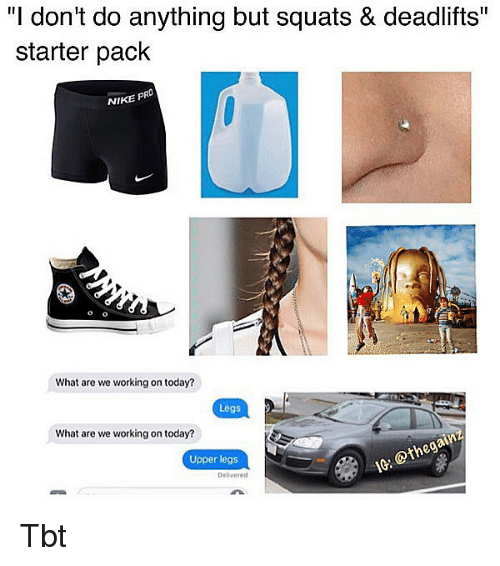 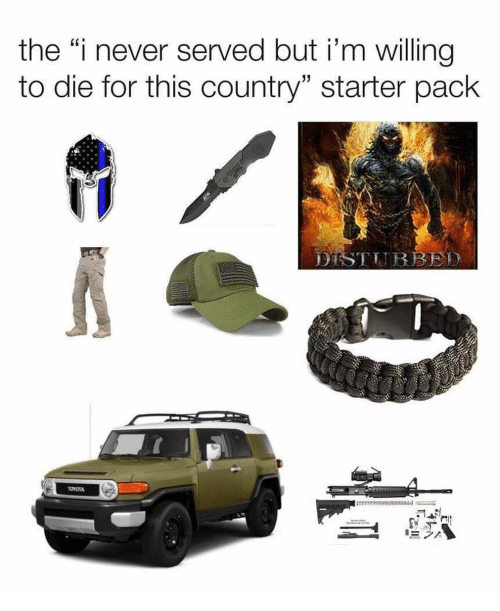 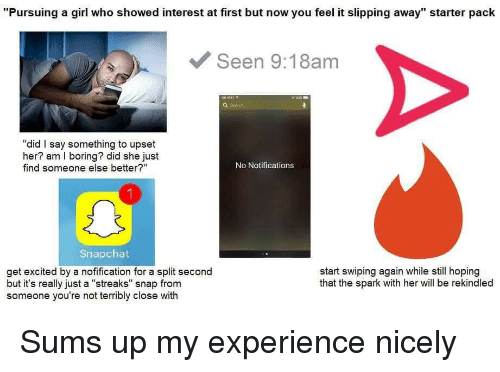 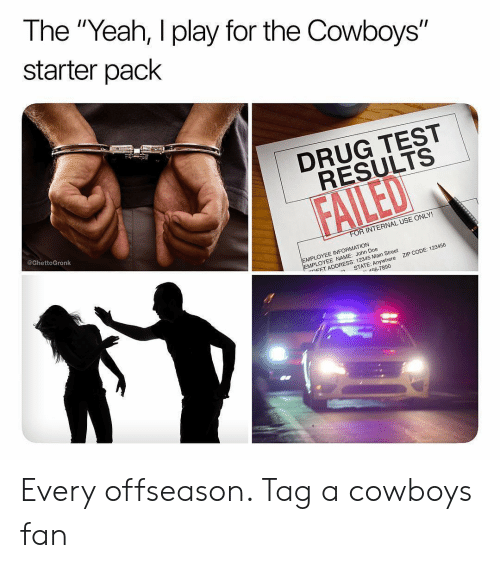 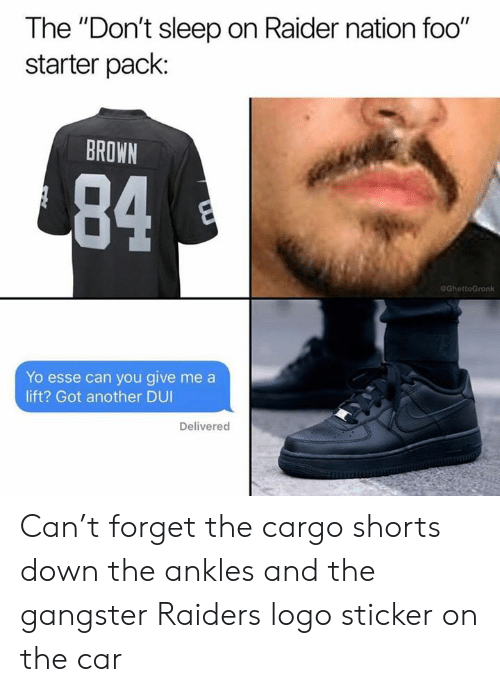 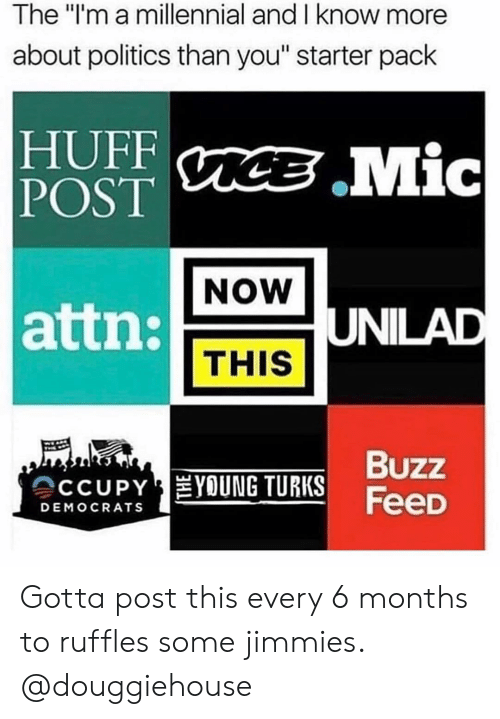 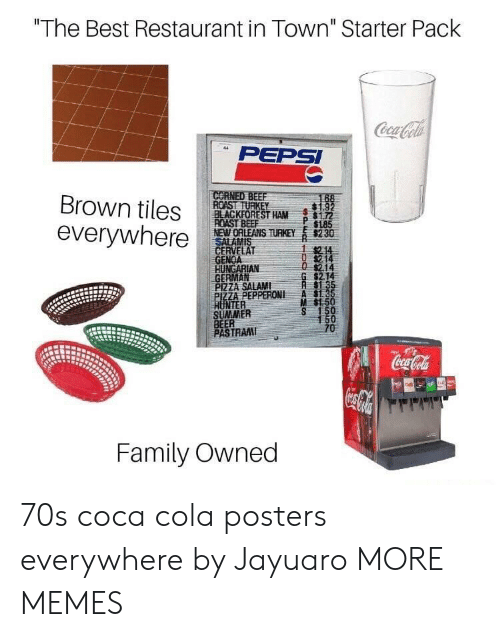 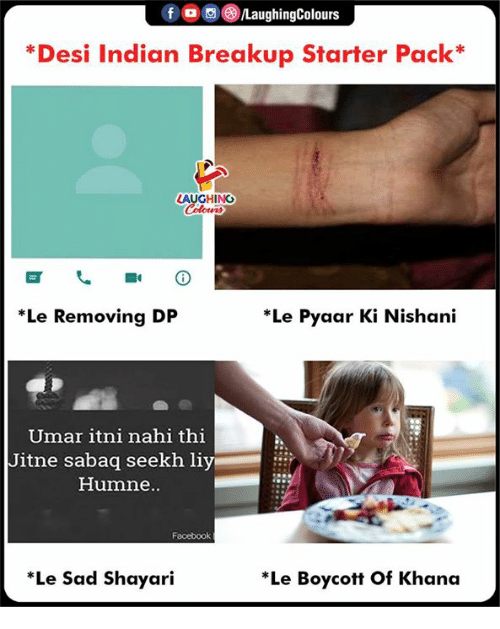 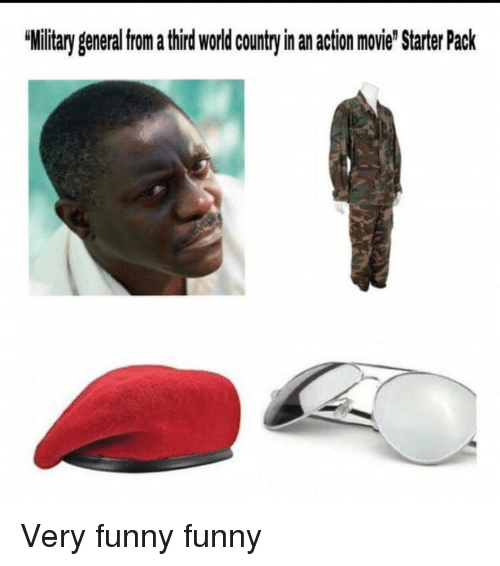 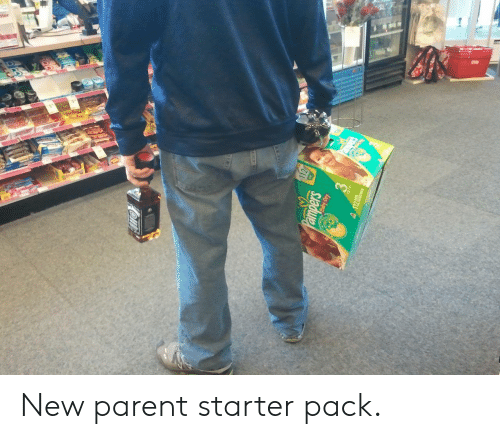 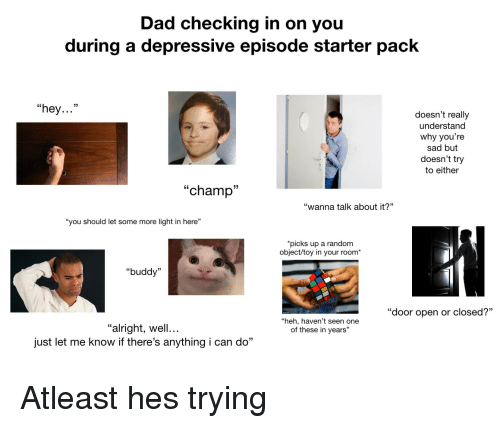 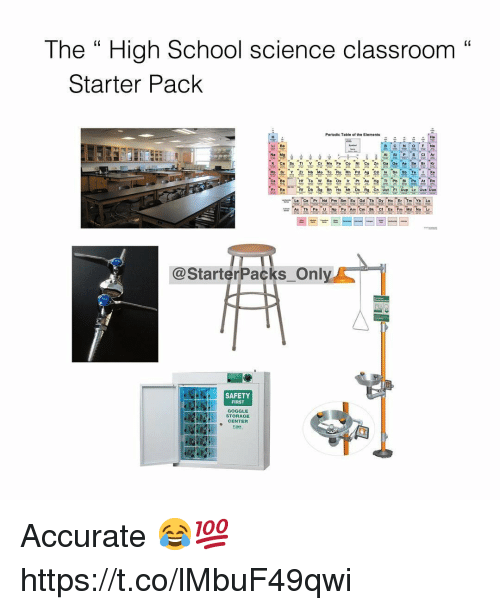 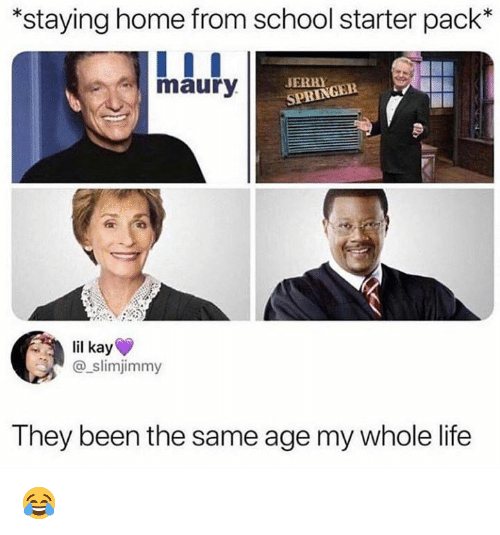 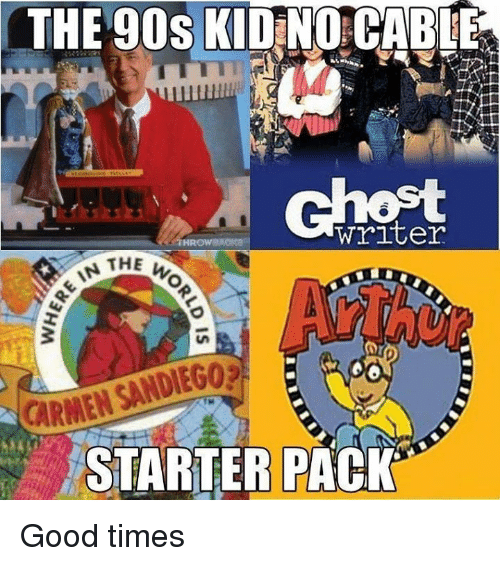 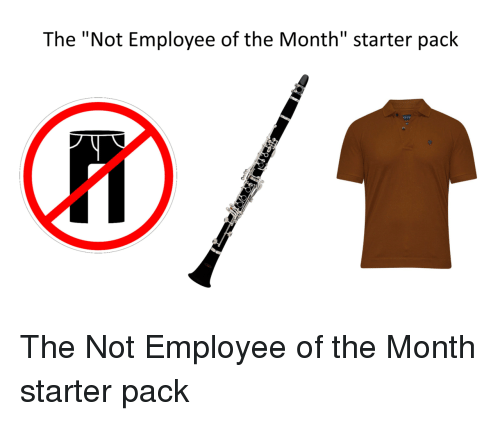 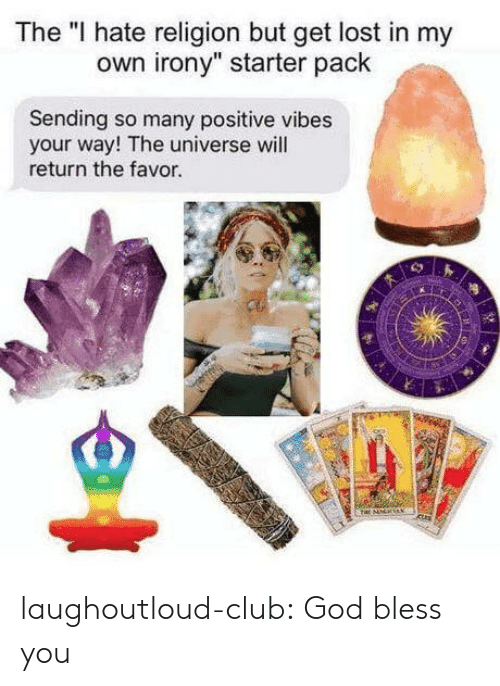 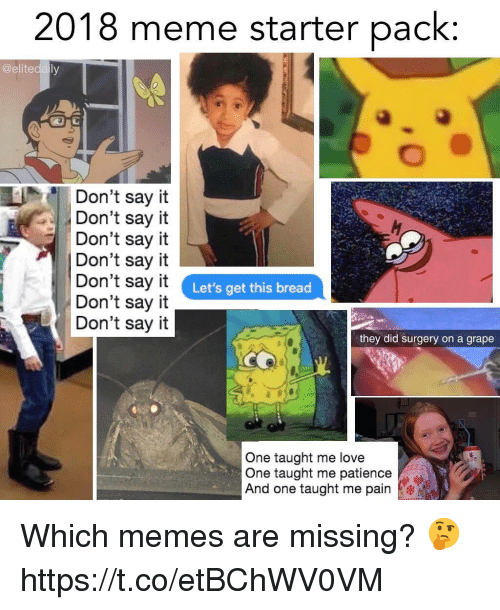 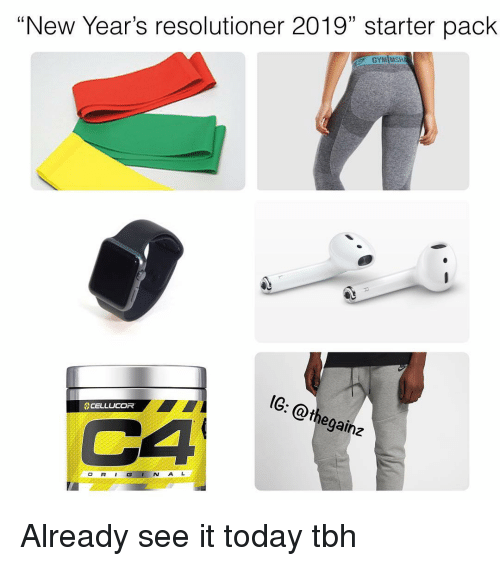 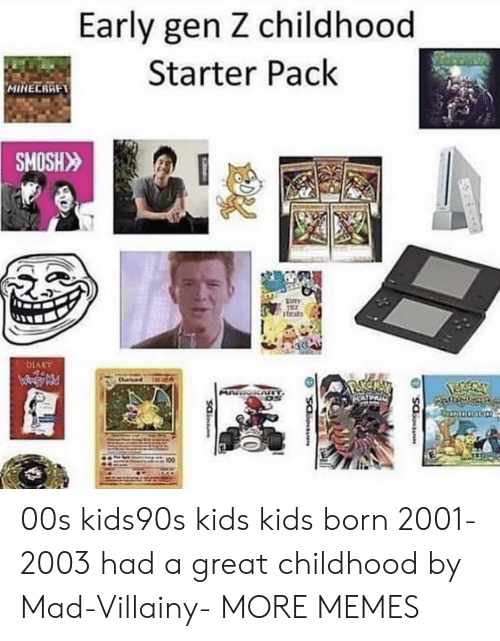 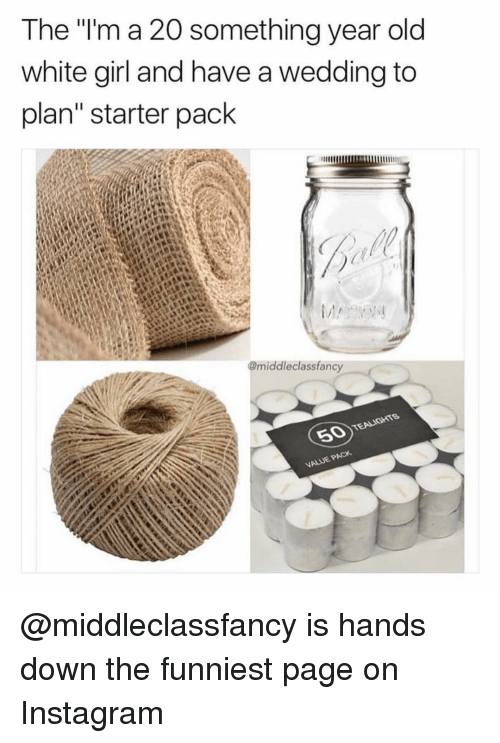 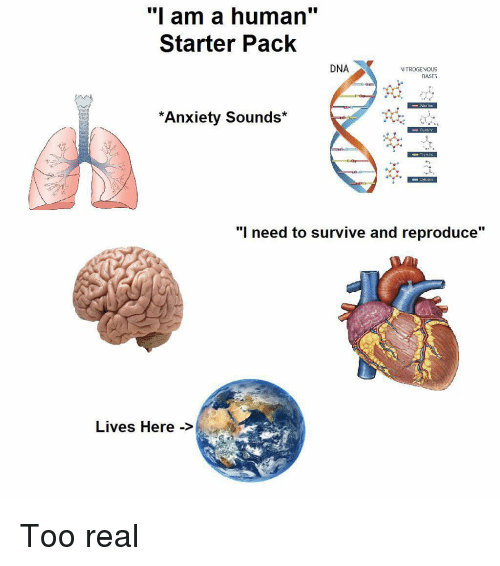 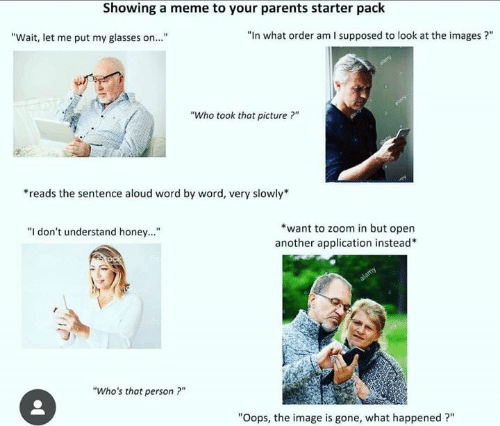 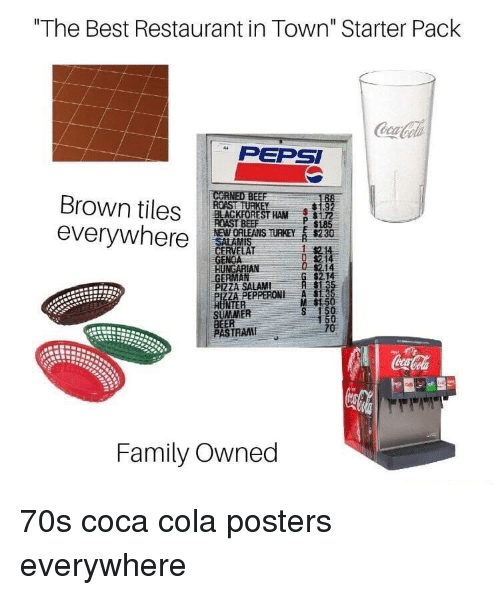 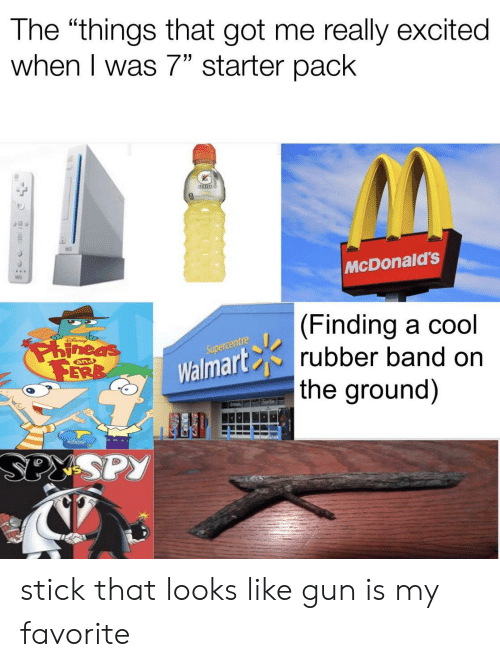 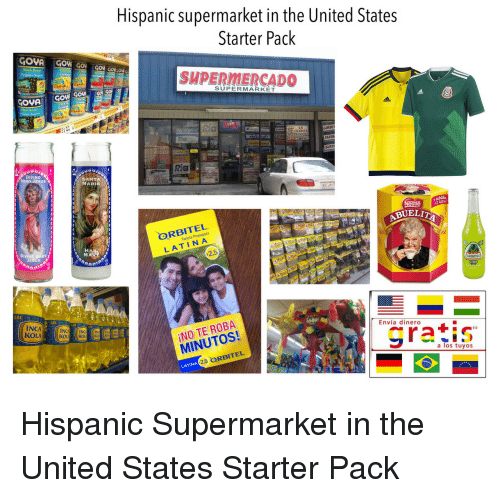 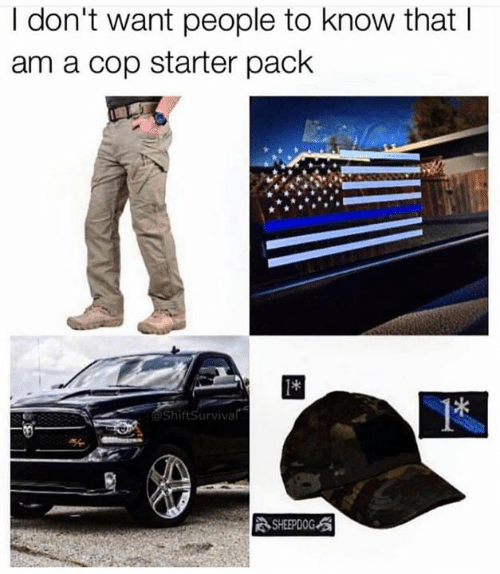 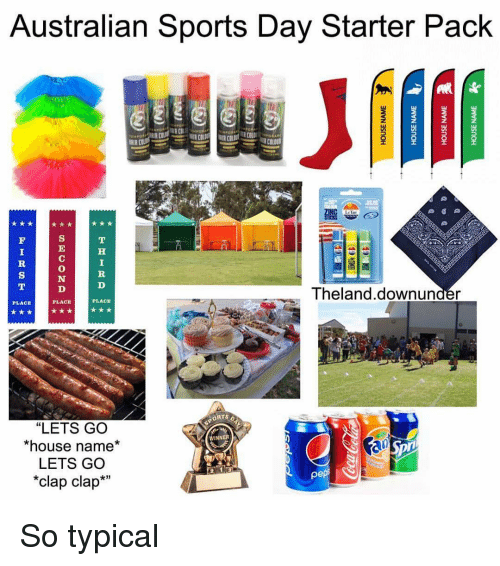 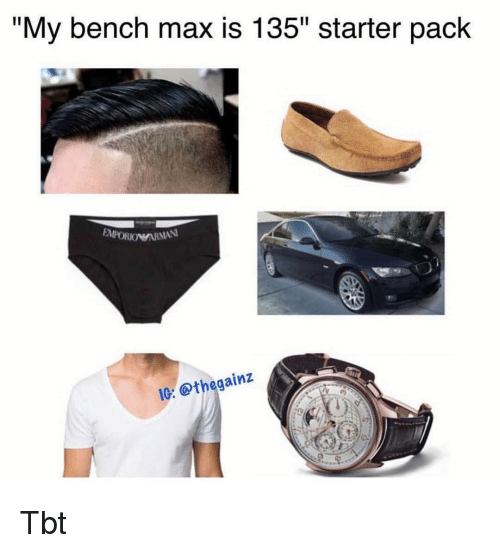 see more The Starter Pack Memes, It Starter Pack Memes, My Starter Pack Memes from Instagram, Facebook, Tumblr, Twitter & More. 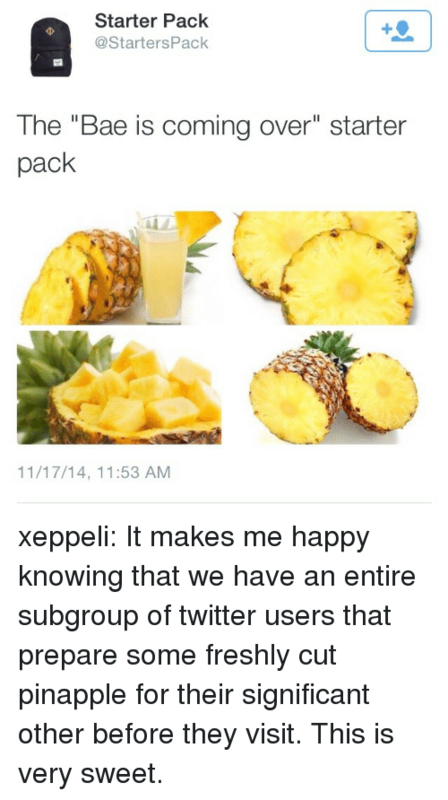 Bae, Tumblr, and Twitter: Starter Pack @StartersPack 1 The "Bae is coming over" starter pack 11/17/14, 11:53 AM xeppeli: It makes me happy knowing that we have an entire subgroup of twitter users that prepare some freshly cut pinapple for their significant other before they visit. 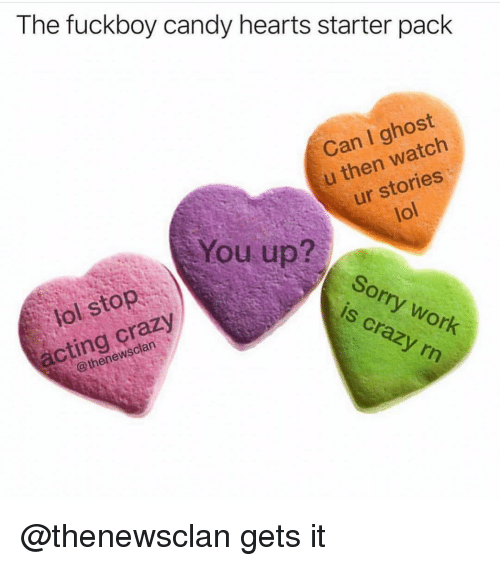 This is very sweet. 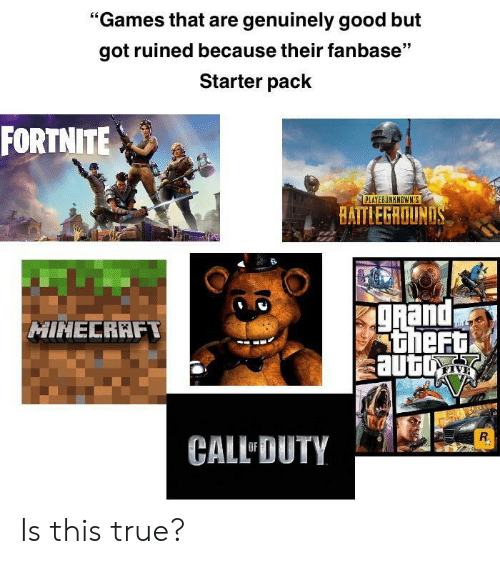 True, Games, and Good: "Games that are genuinely good but got ruined because their fanbase" Starter pack FORTNITE PLAYERUNKNOWN'S BAITLEGROUN and theF HINECRAFT sautu CALL DUTY Is this true? 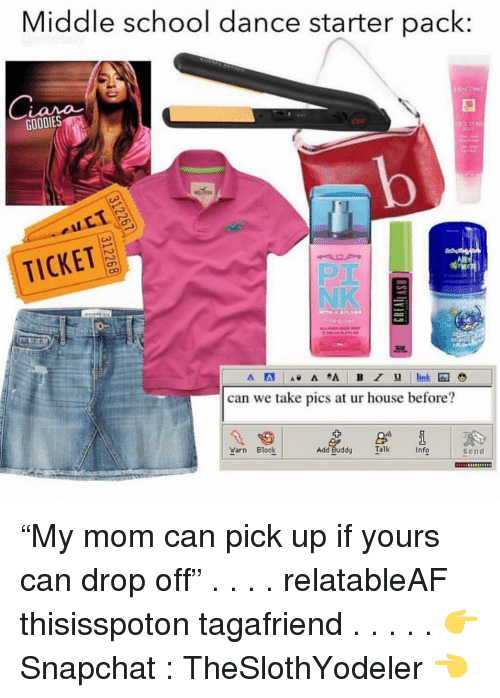 Drunk, Lol, and Omg: Middle school dance starter pack: GOODIES nina TICKET NK can we take pics at ur house before? 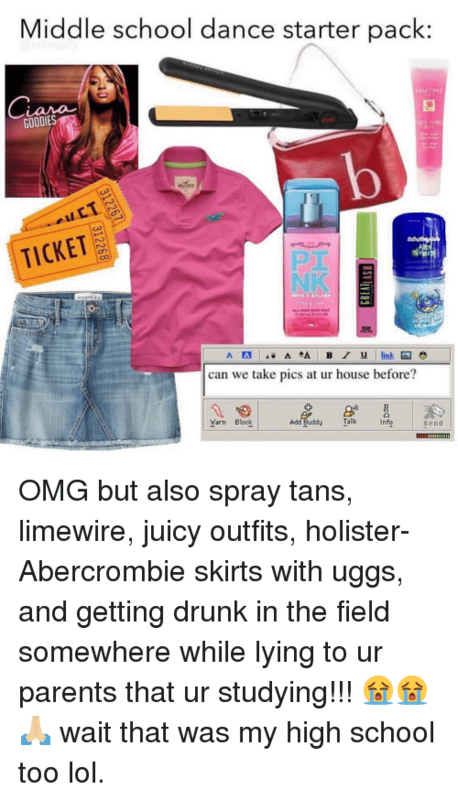 Yarn Blook Add Buddy Info send OMG but also spray tans, limewire, juicy outfits, holister-Abercrombie skirts with uggs, and getting drunk in the field somewhere while lying to ur parents that ur studying!!! 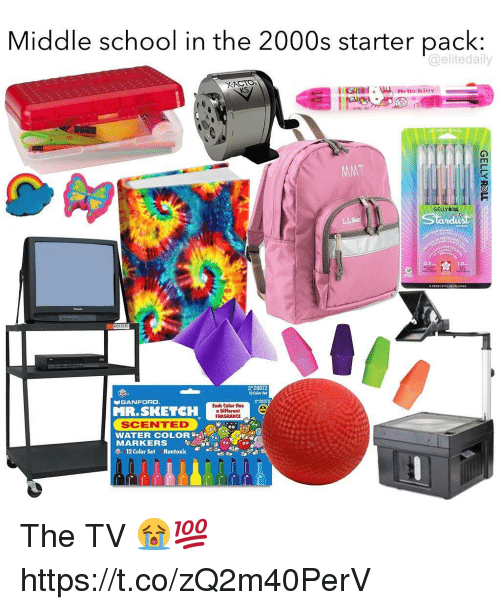 😭😭🙏🏼 wait that was my high school too lol.